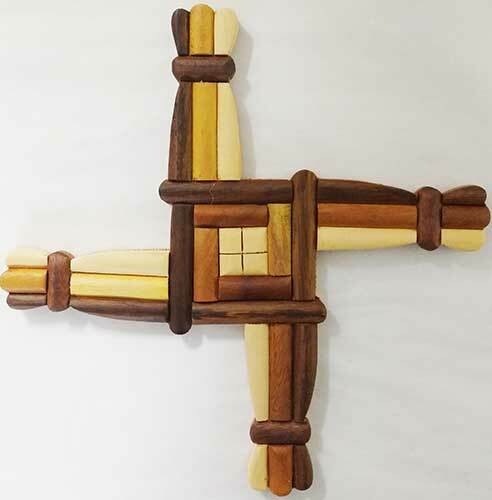 This St. Brigid's cross is made by a process known as Intarsia which is the ancient art of making pictorial mosaics by laying precious and exotic woods onto a solid wood surface. Seven different woods are used to make this Irish design. This St. Brigid's cross for the wall measures 7 3/4" wide x 7 3/4" tall and it is ready to hang. 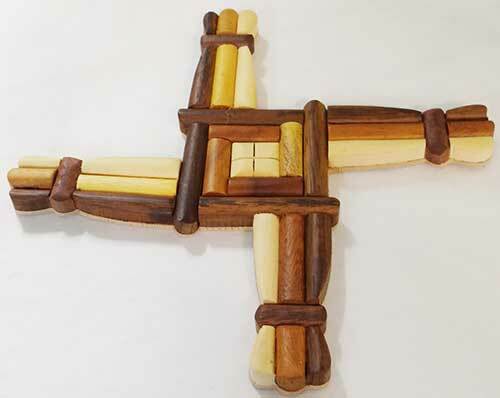 The wooden St. Brigid's cross is made in Ireland by Islandcraft and it is gift boxed with a St. Brigid's history card, complements of The Irish Gift House.